← The Great Debate: Tape or Disk Drive? Change is inevitable. And when it comes to technology, if there is one thing you can count on it is transformation. Technology changes on what often seems like a daily basis and for data centers that must coordinate their infrastructure to optimally manage, store and protect data it can be a head-spinning ordeal. Data center managers are tasked with knowing what is happening in their data center at all times, properly managing capacity, proper cooling, maximizing uptime and on top of just trying to maintain they must also anticipate needs so that problems can be avoided. With so many moving parts it is no easy task. But, inevitably data center managers cannot bury their heads in the sand and at some point, they must update and ultimately transform their data center to keep up with technological changes so that their data centers run properly and maximize efficiency. One of the first things many data center managers may notice that begins to trigger the need for transformation is business growth. Most businesses desire to grow over time and as they grow their data needs increase. With more data, shifting technology that transforms the kind and amount of data and increased customers (and thus, stakes) many data centers have no choice but to transform themselves. To keep up with growing demand and additional infrastructure to support growth data centers must adapt everything from physical space to rack density to cooling methods. Second, another common trigger of data center transformation is the increasing important and pushed for demand to become more energy efficient. Energy efficiency may sound like a buzzword at this point but every business wants to lower overhead and expenditures and IT budgets are often so significant that they are one of the first things to look at when hunting for potential budget cuts. By increasing energy efficiency data centers can lower overhead expenses and help keep CFOs happy. Third and finally, another thing that triggers data center transformation is compliance. This can be to meet mandatory regulations or to meet the needs of shifting technological advances. Technologies must be compliant to work with each other and if systems are outdated and can no longer run properly transformation must occur. But, what many data centers are running into are federal mandates and regulations. These restrictions and rules are in place for many reasons and if a data center is outdated or ha simply failed to meet regulations in the past they may now be facing a major overhaul in order to become compliant. One thing is certain, no matter what the reason, as technology changes data centers will continue to transform in order to keep up and provide optimal service. 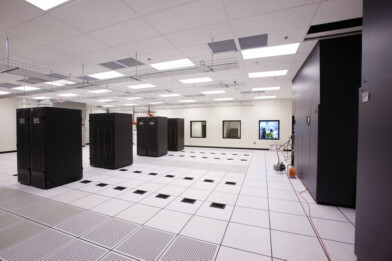 This entry was posted in Computer Room Design, Data Center Build, Data Center Infrastructure Management, data center maintenance, Datacenter Design. Bookmark the permalink.